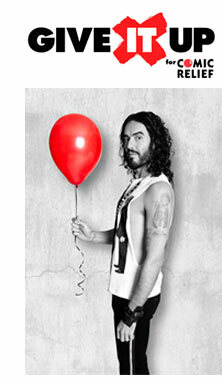 Win VIP tickets to the ‘Give It Up for Comic Relief’ gig hosted by Russell Brand! Thank you to everyone who took part in our Red Nose Day twitter competition. Congratulations to Madeleine Rich, who has won a pair of VIP tickets to the all-star ‘Give It Up for Comic Relief music and comedy gig at Wembley Arena on 6 March, headlined by Russell Brand. Madeleine will also get exclusive access to the sound check and the opportunity to meet some of the artists performing on the night. You can find more Red Nose Day teaching resources here. Confirmed acts so far for the ‘Give It Up for Comic Relief gig include Noel Gallagher, Paloma Faith, Kasabian, Jessie J, Rizzle Kicks, Emeli Sande and Nicole Scherzinger. The night will also include comedy acts Simon Amstell, Frankie Boyle, Russell Brand, Doc Brown, Jimmy Carr, Noel Fielding, Eddie Izzard, Jason Manford, with other acts due to be announced in the lead up to the concert.